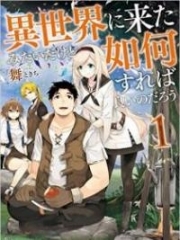 You’re reading novel Chaotic Sword God Chapter 665: Fall of a Saint Ruler (Three) online at LightNovelFree.com. Please use the follow button to get notification about the latest chapter next time when you visit LightNovelFree.com. Use F11 button to read novel in full-screen(PC only). Drop by anytime you want to read free – fast – latest novel. It’s great if you could leave a comment, share your opinion about the new chapters, new novel with others on the internet. We’ll do our best to bring you the finest, latest novel everyday. Enjoy! In a mountain range, the white-robed Situ Qing could be seen borrowing the cover of the forest to make a speedy but silent escape. Not a single sound could be heard from his movements, and even traces of his movements weren’t seen. He was even afraid of using Spatial Force to aid his escape until he made it out of the Four Harmonies Manor. The use of Spatial Force could be felt by a Saint Ruler, and that would immediately reveal his location. Since he was trying to hide his tracks, he couldn’t travel as fast. So traveling fifty or so kilometers took a dozen times slower than usual. Without any more hesitation, Situ Qing immediately made use of his Spatial Force to join with the world itself and fly off with incredible speed away from his pursuers in hopes of widening the distance. Since he was as good as exposed, there wasn’t any further need to hide. In this case, the best thing to do was to move as fast as possible. “Out of the three of us, only you have enough understanding of the mysteries of s.p.a.ce to catch up to him. Hurry up and chase after him, he has not my poison, and so I cannot detect him if he travels too far away.” Nubis spoke. “Worry not, he won’t escape me.” Huang Tianba laughed. A golden bow immediately appeared in his hand; it was the Solunar Bow! Pulling back on the drawstring of the bow, a golden arrow immediately materialized out of thin air. With a tw.a.n.g, the arrow was released with frightening speed towards Situ Qing. As it traveled through the skies, the arrow almost looked as if it was melting into the world. The abnormality of this arrow was that there was no ear-piercing whistling that usually accompanied the shooting of an arrow. It was as if the arrow was one with the world and could pierce through s.p.a.ce itself to chase down Situ Qing. “Ruler Armaments left behind by a Ninth Heavenly Layer are considerably strong if it can have such an effect like this.” Nubis spoke out honestly. No sooner did Nubis finished speaking when just thirty kilometers away, the arrow Huang Tianba fired out made contact with Situ Qing. “Senior Huang, Nubis, lets go, quickly now. We must not let him escape this time.” Jian Chen spoke. Utilizing the Spatial Force, Huang Tianba and Nubis both immediately blended in with the world itself and borrowed its power to speed forward. In the blink of an eye, they flew far away from Jian Chen towards Situ Qing. Jian Chen himself began to use the Illusionary Flash to travel by himself since he had not yet understood the mysteries of s.p.a.ce. 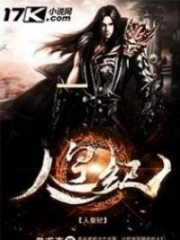 When Jian Chen arrived, he could only see that the Saint Ruler from the Sect of Dragon and Tiger was slammed against a broken cliff-side with blood dripping down from his mouth. Right in front of him was Huang Tianba and Nubis standing in a way that would prevent Situ Qing from escaping. 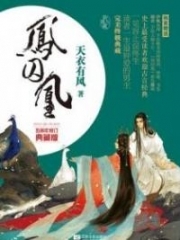 The power of a Ruler Armament was extremely strong, and the arrows shot forward from the Solunar Bow was strong enough to force even the Fifth Heavenly Layer Saint Ruler Bi Hai to use up a considerable amount of energy even though he was stronger than Situ Qing. This arrow wasn’t made with Saint Force either, it borrowed the strength of the world to add to its strength, and therefore was undeniably harder to block. Thus, even if Situ Qing was able to block it, he wouldn’t come out unscathed. “Wrong. You should regret ever offending me and choosing to be my enemy. Otherwise, you would still be the high and mighty Saint Ruler of the Sect of Dragon and Tiger rather than being beaten into such a state. You’ve thrown your disciples away to the wolves to escape by yourself, how despicable.” Jian Chen laughed in disdain at Situ Qing. “What a shame that it’s too late to regret.” By now, Jian Chen felt lazy to continue speaking, “Forward, kill him at once!” Upon finis.h.i.+ng his command, Jian Chen immediately shot forward with Nubis and Huang Tianba to strike down Situ Qing. Since the three of them were surrounding him, not much time would be needed to kill the Saint Ruler. Situ Qing wasn’t one to sit and wait for his death however. Without reservation, he materialized his Saint Weapon into view to fight for his life. Swing after swing, he tried his best to fight off the three enemies in a furious display of might that shook the s.p.a.ce around them. Huang Tianba put away his Solunar Bow in favor of bringing out his giant sword to fight Situ Qing. Each time he swung his giant sword, the powerful energy in the blade ripped at the s.p.a.ce in the world. Nubis’ hands had formed golden claws that swiped and danced in the air to surround Situ Qing with the swipes. In twos and threes, claw marks began to appear all over his body with dreadful looking wounds. At the same time, Nubis’ poison began to make its way into Situ Qing’s body. Jian Chen had his Chaotic Force covering his entire body so as to increase his defenses to the maximum. As of now, his fist was several times harder than steel as it struck at Situ Qing’s Saint Weapon. Despite his fist having a small split from where the Saint Weapons truck, the flesh quickly healed back up over itself as if it didn’t happen to begin with. The battle between the four people was extremely intense. From the ground to the skies, they fought with explosive blow after blow. Even the ninth heavens would be able to hear this battle, and the power that came with the battle splashed over the entire area with such force that even the skies above began to change color from a lighter light to a darker shade. Down below, the mountains they were fighting over continued to crumble and collapse with countless of rubble avalanching downwards into the forests. Dust was kicked up into the air and completely buried the vegetations or else crushed them into pieces. The earth quaked. The mountains shook. In this one moment, the mountain range was experiencing an event that may as well be the same as the ending of the world. 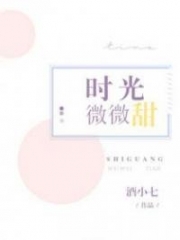 Situ Qing was inevitably facing impossible odds. After a dozen exchanges, his entire body was bloodsoaked and countless of cuts and claw marks from what Huang Tianba and Nubis inflicted. Now that things had progressed to this, Situ Qing knew that there was no way he could escape with his life today. 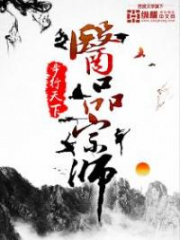 Determined, he cried out, “Jian Chen, even if this old man dies today, I’ll see to it that you won’t be let off so easily!” No sooner did he finish speaking did the Saint Ruler fly up into the skies. Coincidentally, his aura began to spike almost exponentially--it was a sign that he was breaking through from the Fourth Heavenly Layer to the Fifth Heavenly Layer. With his aura filling up the world around him and almost solidifying in pressure, even Jian Chen felt this pressure as if he was thrown into a quagmire. As thus, his mobility felt extremely limited. “Careful, he’s using up his own lifeforce to temporarily increase his strength; he’s on equal grounds with us now.” Huang Tianba spoke grimly. With Situ Qing fighting with his life on the line, the him of now posed quite a threat to the three of them. “Jian Chen, accompany this old man to the underworld!” Completely ignoring Nubis and Huang Tianba, Situ Qing focused completely onto Jian Chen. His eyes were locked solely onto Jian Chen, and his Saint Weapon flew with amazing speed to strike at Jian Chen’s head in an attempt to demolish Jian Chen’s soul and kill him completely. As he attacked, the s.p.a.ce around the two men solidified almost as if it froze over to lock Jian Chen’s body into place. For the time being, Jian Chen would be unable to move from his spot, and for the first time since this battle begun, Jian Chen felt that he was at a very good odd of dying to this one strike. 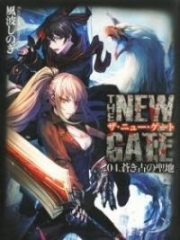 You're reading novel Chaotic Sword God Chapter 665: Fall of a Saint Ruler (Three) online at LightNovelFree.com. You can use the follow function to bookmark your favorite novel ( Only for registered users ). If you find any errors ( broken links, can't load photos, etc.. ), Please let us know so we can fix it as soon as possible. And when you start a conversation or debate about a certain topic with other people, please do not offend them just because you don't like their opinions. 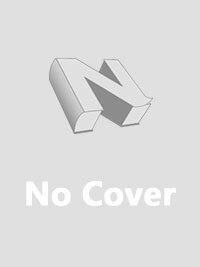 You're reading Chaotic Sword God Chapter 665: Fall of a Saint Ruler (Three). This novel has been translated by Updating. 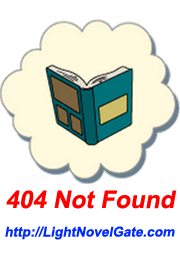 Author: Xin Xing Xiao Yao already has 10921 views. Current Time is Apr-18-2019 18:47:05 PM.